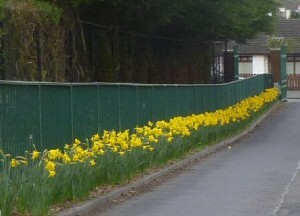 Here we see the “Walkers Line” at the Sacred Heart/St Ronan’s Schools lined with the daffodils planted in memory of Mrs Goss – in full bloom, and it is still February. 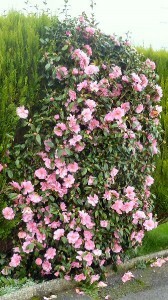 My neighbour’s Camilla bush goes one better. Already it is shedding some of its blooms. 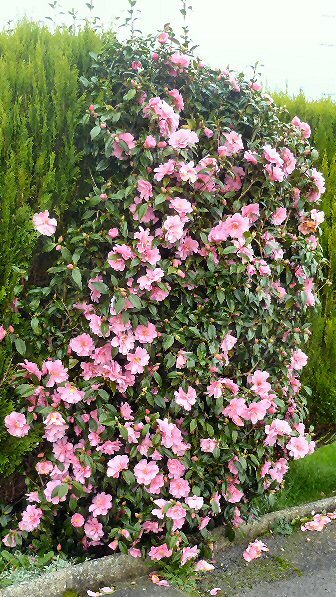 Let’s hope we don’t now get a sharp frost to kill all these lovely blooms!